Sign up to my newsletter here to be first in line for huge savings on my 5th Anniversary Special Edition Puje! A sample build for your consideration. 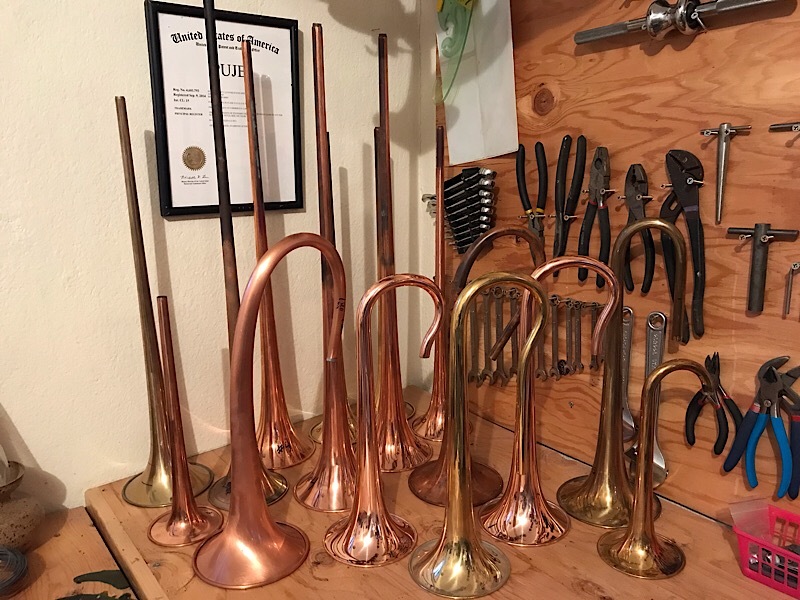 You have been thinking about it for some time now, searching Google trying to find the perfect horn to match that sound you hear. 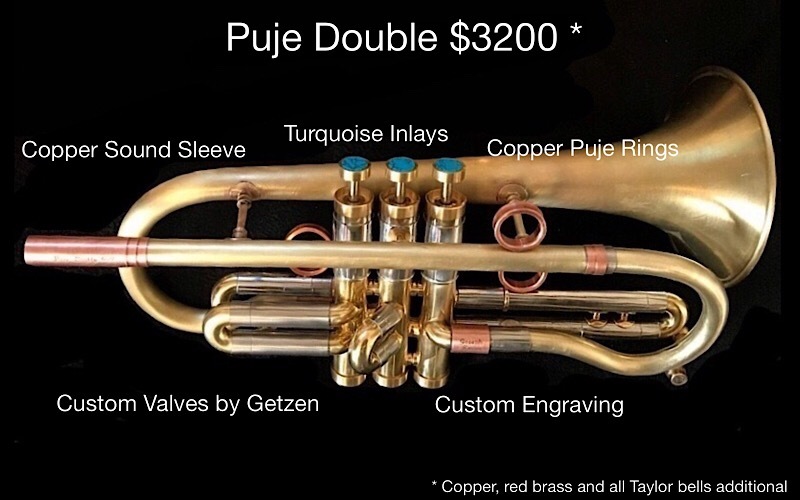 On this page you will discover which bells are available with the new Puje Double. You can dial in the feel you want with the right leadpipe or choose my IMS and have the ability to swap them yourself. Finally, choose your look with the rings, inlays and engraving you want. Check out the following pictures, and if you still need a little inspiration, visit my Photo Gallery page, or contact me today! I work to bring the finest bells into my shop, each one hand spun to perfection by craftsmen with years of experience. #2 in red brass? 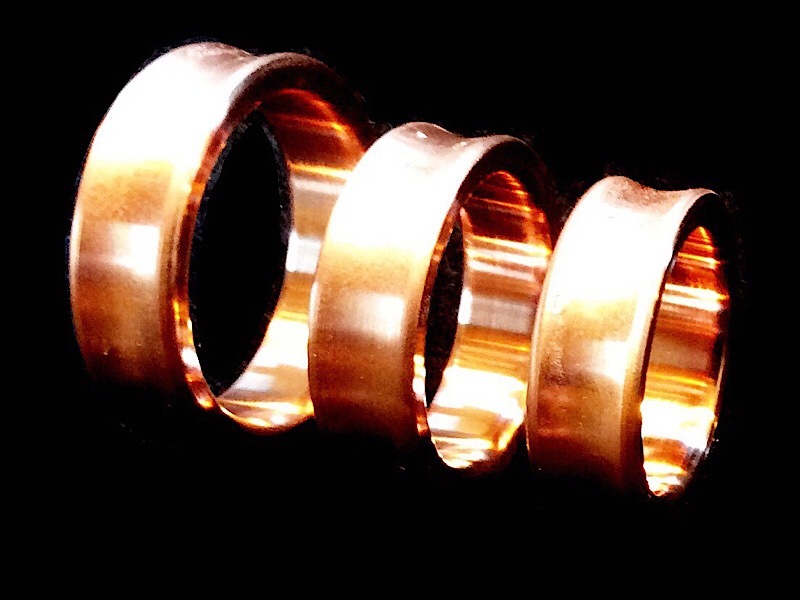 #7 in copper? How about a #9 made by Andy Taylor? The choice is yours. Tight or open, bright or diffused, I can guide you through the process of making it feel like your horn. 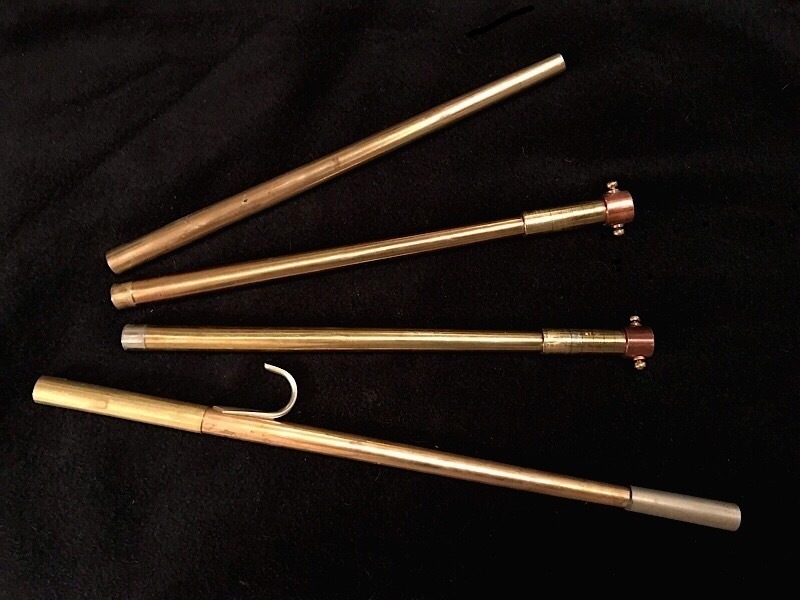 If you like to expirement then give my Interchangeable Mouthpipe System a try. Different openings, different gaps, the IMS lets you find the sweet spot. I love natural stones. I used to pick up all sorts of rocks when I was a kid, especially those washed by the tides. There is something special about the feel of smooth stone under your fingers. Every Double comes with a unique set of inlays. Go ahead, choose your favorite. Form and function drive my designs including my rings. If you want something you won’t find anywhere else, choose my copper Puje rings. 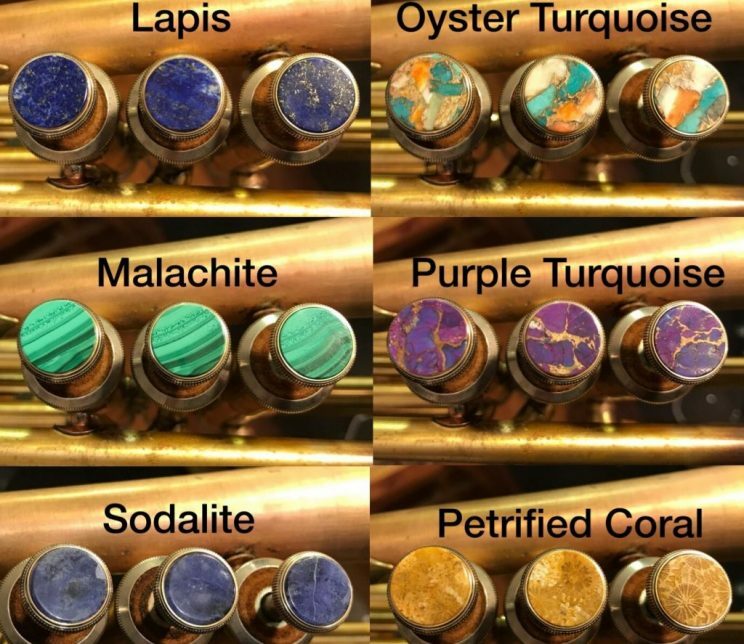 Comfort joins with style to accent your horn. I choose the waterkeys I offer the same way. Good looks and functionality.